The K-pop group was dropped from a scheduled spot on TV Asahi on Friday. 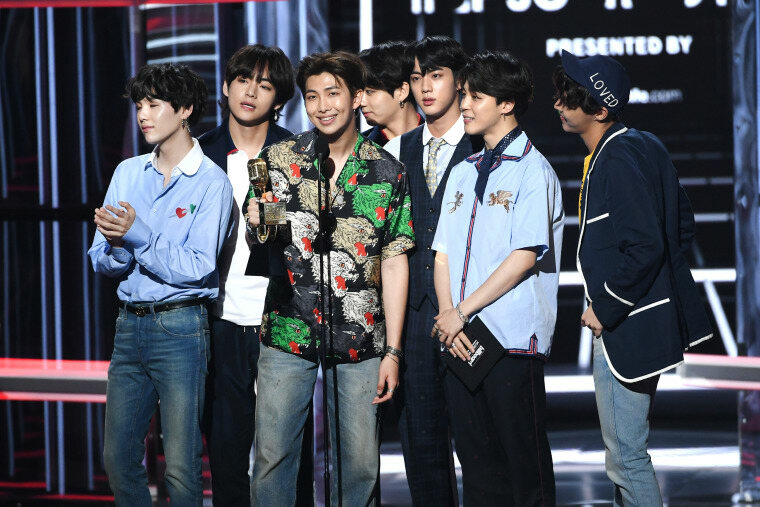 A Japanese TV station has pulled a scheduled appearance from BTS after a picture emerged of one of the K-pop group's members wearing a T-Shirt seemingly celebrating the 1945 bombing of Hiroshima. The group were due to appear on TV Asahi’s Music Station show on Friday evening but, as The Guardian reports, the station pulled its invite in the wake of the T-shirt incident. BTS's Jimin was photographed last year in a white shirt with the words “Patriotism ourhistory (sic) Liberation Korea” on the back and an image of what looks like an explosion on the back The reference to the end of Japan's colonional rule of the Korean peninsula was backed by images of Koreans celebrating in August 1945, the month the US carried out nuclear attacks on Hiroshima and Nagasaki. “We have seen news that a T-shirt worn by one of the members has set off a furore. After asking their record company about this, we made the decision to postpone their appearance on our Nov 9 show,” TV Asahi said in a statement. BTS confirmed they would not appear on Music Station but did not address why. “We apologise for disappointing fans who were looking forward to this. 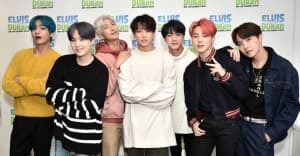 BTS will continue their efforts to connect with fans on stage and also through music,” the group said. The group is due to begin its Japan tour next week in Tokyo. They hit No.1 in the U.S. in September with Love Yourself ‘Answer’, making them the only K-pop group with a number one album in U.S. chart history.